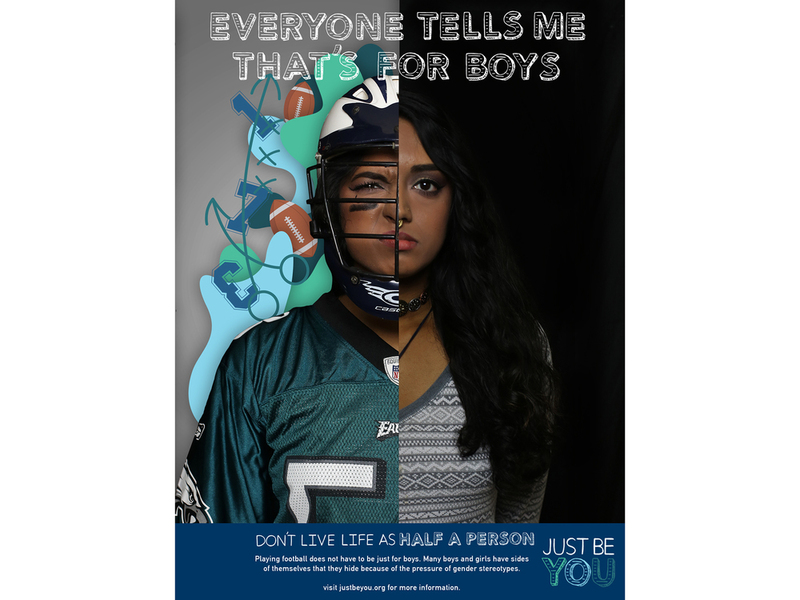 Just Be You is campaign meant to bring awareness to gender roles and stereotypes and the control that they have over many people. The poster series are images of young people split in half with one side showing them doing an activity they like to do, and the other side showing them wearing normal clothes and not happy. 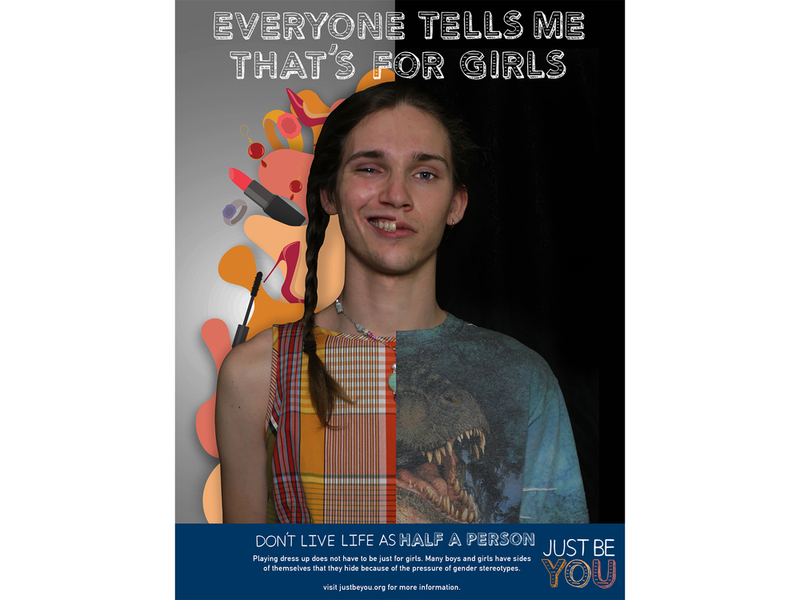 They simply say "Everyone tells me that's for girls/boys" and the tagline is "Don't live life as half a person", encouraging people to do what they like no matter what anyone thinks about it. Even though this is a serious message, the posters are aimed at younger people and are meant to be lighthearted with hand done typography and vector illustrations.